Why is it important for non Latino students to learn about Mexington? Through all times in American history, Mexican immigration has always been consistent. In the beginning, they mostly settled in the southern States because it was closer to reach. During the late 1980s and throughout the 1990s, Mexicans established new settlements in non-traditional destinations of the Midwest and eastern seaboard regions (New Destinations 2005). One of these states were Kentucky, and today we see a Mexican community in Lexington, rather called Mexington, Kentucky. Because Kentucky is one of the states in the country with the lowest taxes (State Tax Handbook 2015; CCH Inc), it makes sense to settle here as someone unemployed and in most cases, poor. It is not until the last century, though, that the Mexican immigration has become so rapid that the system eventually “failed”. A lot of people refer to the Mexican immigration system as “broken. Today we see undocumented Mexicans who keeps applying for green cards, and then eventually citizenship, and in most cases, it is simply just not possible. Getting through college is extremely hard because with no social security number, no financial aid. A lot of Americans see these people as “illegal aliens”. I see something completely different. After coming to the University of Kentucky as an international student from Norway, I learned that leaving your family, your home, everything you know is never easy. I was homesick, I felt like a stranger. If I felt sick, I tried to avoid going to the doctor as long as I could. I eventually did have to go to the doctor, and I felt embarrassed when they asked me for my social security number, or my insurance card, because I did not have any of them. I felt bad for my mom, asking her for money because I am in a country that will charge me $100 just for a doctor check up if you do not have insurance, compared to my home country where health care is free. Despite all this, I grew up in one of the richest countries in the world, and I willingly came her with a plane ticket, and a scholarship waiting for me. I have always heard some Americans complain, saying things such as “They took our jobs” and “they need to go back to where they come from”. I never judged them, but I did have a picture in my mind of what a typical Mexican looked like, what they did, and why. Through the Mexington Kentucky class, I started seeing things differently. I saw myself in some of the stories I heard in class, the only difference was, that I am not even near to have gone through what a lot of them did to get here. To live the “American Dream”. Through class meetings, the book “Living Out Loud’, and Mexican students sharing their story to me such as the DREAMers, I now saw a new face of the Mexican immigrant. I saw someone who is just as adventurous as me, someone who is hardworking, smart, maybe even so Americanized that they do not remember their childhood in Mexico. If you came to the States as a child, and all you can remember is America, how can someone tell you to “go home’. Their home is the United States. 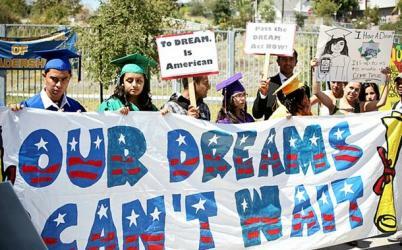 DREAMers demonstrating in Washington, DC, also called “the Trail of Tears”, 2010. I now have so much respect for undocumented Mexicans, and I am very thankful for learning all I did in this course. I have experienced discussing topics I have learned in class with my friends on my free time, with my host-family over the dinner table and it is important to teach others what I have learned. Maybe, in the future, we will see a better and more open America. Zuniga, Victor, and Ruben Hernandez-Leon. New Destinations: Mexican Immigration in the United States. Russel Sage Foundation, Apr. 7, 2005. Print. CCH Tax Law Editors. State Tax Handbook Dec. 22, 2015. To spread awarness to everyone about the mexican community. Mexington should be for everyone not just Mexicans, and the more whites are willing to get involved in their community, the more will the Mexican Americans benefit from it. this is out country and we should know more about all the cultures in it. Also, because in todays society of racism it is important to have the backup information about other cultures to stand up for them. According to the US Border Patrol, the number of undocumented immigrants arrests at the border of Mexico from year 2000 to 2013, has decreased with 74,7%. In 2000 there was about 1,643,679 arrests of illegal immigrants trying to cross the border to achieve their American dream. In 2013, there was only 420,789. Especially after Obamas presidency, we see that crossing over to the United States has become more and more impossible. As we learned in class, never in the American history has there been as many Mexican immigrants deported back to Mexico as with Obama as president. The word on the street says that the American immigration system is broken, but how is it also affecting Mexico? VICE is an independent news company based on the internet. They are especially known for their youtube channel, where they create news documentaries. These documentaries are very often about cultural issues, and on of them was about Illegal Border Crossing in Mexico. This documentary shows real life footage of the Mexican-American border and how immigration affects the community. They are addressing the so called “emigration-town” El Alberto, which borders to the United States. of Not only does it help us understand how the American community can damaged by immigration, but also how the Mexican society suffers because of emigration. El Alberto became a Ghost Town after everyone who passed it or lived there eventually migrated to the North. It is said in the documentary that only seeing a couple of people on the streets every day is very common, because there are so few inhabitants. The town finally got back on its feet when they created the EcoAlberto Park. One of the activities you can experience at this park is something called “The Night Walk”. This is a one nights simulation of how it is being a Mexican immigrant. They have fake coyotes and even fake border patrols. This documentary also tells the story of local families. Some managed to make the dream house and live a good life in Mexico. This is probably portrayed as an inspiration to Mexicans who wants to immigrate, that there is hope if you work hard in Mexico. They also showed a family of a mother and her daughter who are living in El Alberto alone because the dad of the family is in the United States. Even though they are close to the States, he usually can’t make it home for her birthtdays or even her Quinceanera because there is a huge possibility he will not make it back to the United States. Instead, he sent them money for the party. This documentary is very interesting because for once it does not show the American perspective and how hard it is coming to the United States. Instead, it shows how migrating to the North can have several negative effects on Mexicans hometowns and their families. I think this documentary was made to prevent immigration, but in a much more considering way than we usually witness. El sueño Mexicano es el nuevo sueño Americano! 1. VICE Media, “Illegal Border Crossing in Mexico”. Online video clip. 2. 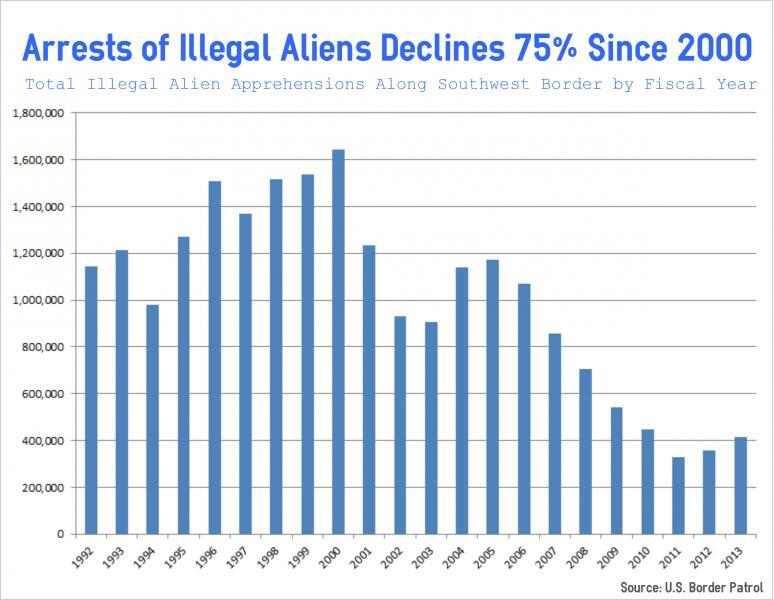 Ali Meyer, “Arrests of Illegals Crossing U.S.-Mexico Border Down 75% Since 2000”. Inocente is a Oscar winning documentary about a fifteen year old Latin-American girl who migrated to the United States with her family as a young girl. In this documentary we hear her story of a long journey not only getting to the States, but also after she arrived. After several years in a new country, her and her family are still dreaming. 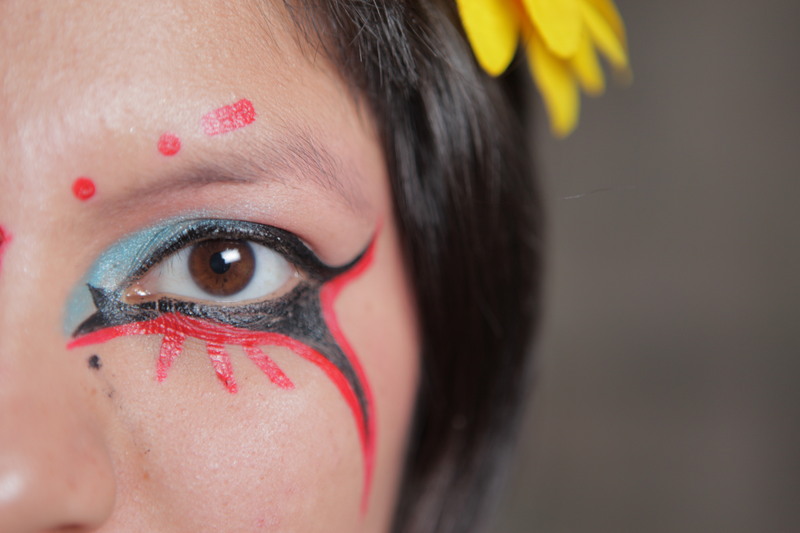 They did not get a job and are still looking for a place to call home.Inocente therefore expresses her feelings into art, and is passionate about painting. It is very surprising to me that the trademark for her paintings is a lot of colors and happy figures, instead of darkness after all she has gone through. I think colorful painting is her way of making the world seem a little brighter, because America was not quite the paradise it was set out to be. Art might be her escape from the life of homelessness and dark memories. She also uses makeup as facial art because it makes her feel safer to camouflage herself in that way. Throughout the documentary she goes deeper into her story. Her family used to live with her dad who also came to America with them, but was deported back because of domestic violence. Inocente was near dying at one point because of her dads beatings, which is when the mother took her and ran away. 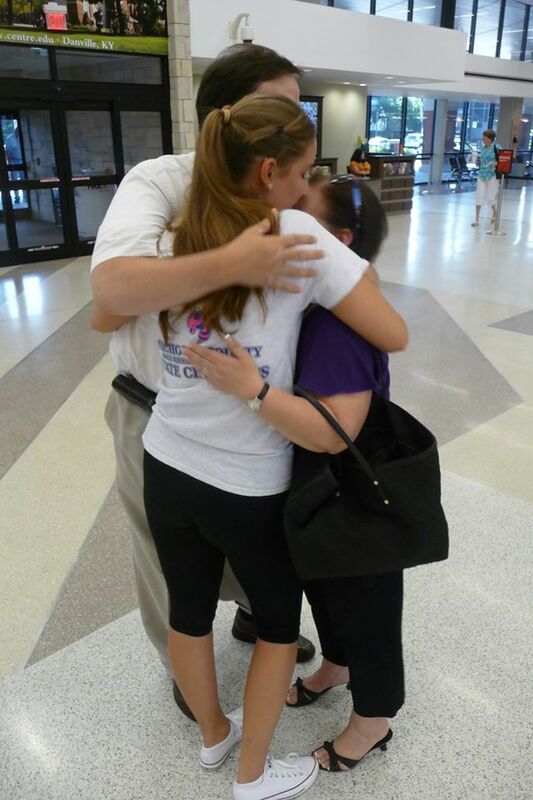 Her dad was deported back to Mexico after the police found out. It is clear that Inocente blames herself for her family being homeless. It is most likely that her dad had a job and made most of their money, so because she was involved in him beating her, she probably feel as if she was the reason they now live in poverty. Her mom even tried to kill herself with Inocente, but changed her mind last minute. It is very depressing to see how immigrants see America as the land of dreams, but in so many cases it is the complete opposite. At the end of the documentary, Incoente works on doing an art show. With help from other artists she finally get to show off her paintings to others, and even make money off them. A lot of people show up to see her art, and at the end of the night, Inocente only leaves with one painting for herself. Everything else is sold. She wants to use the money for college to study art. Inocente is finally on a right track in America, and from research I did after watching the documentary, she has now won two Oscars and is going to college. Inocente is finally living her American dream. 1) Inocente Filmmaking Team. “Inocente: Homeless. Creative. Unstoppable.”www.kickstarter.com. N.p., 21 July 2012. Web. 05 Feb. 2015. The I Files. “Inocente- Oscar Winner, Doc Short 2013.” YouTube. YouTube, 19 Feb. 2013. Web. 05 Feb. 2015. “Feminéma.” Feminma. Feminema, 25 Feb. 2013. Web. 05 Feb. 2015. LABRECQUE, JEFF. “‘Inocente’: An Artist’s Journey from Homelessness to the Academy Awards.” Ew.com. N.p., 26 Feb. 2013. Web. “Inocente.” Inocente. CYNTHIA FRANK, n.d. Web. 06 Feb. 2015.
this is my first post on my Mexington Kentucky blog!